Over the years, we have become increasingly concerned with reducing our waste. However, sometimes we find is easier to just buy plastic bottle of general cleaner from the store or use as many paper towels as we need. But what if there were some tips and tricks to Green Cleaning? There are actually many simple solutions to going a little bit greener with your cleaning both at home or in the office. One of the most common products and hacks found for eco-friendly cleaning is finding resuable solutions. There is so much waste that generates from plastic spray bottles, individual soap dispensers, and paper towels. 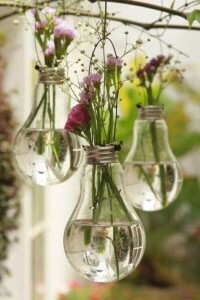 There are a few alternatives that can make it easier for you and the environment. Trade in for Glass – Instead of a plastic spray bottle, purchasing a glass spray bottle can save both money and the Earth. By using a plastic spray bottle, you can buy your cleaner in bulk and refill as necessary. Buying in bulk is not only cheaper but also means less plastic. Reuse the Container – individual soap dispensers are nice and can get changed out with the season. Whether you use the original plastic container or a nicer style, refilling the same soap container once it is empty creates savings. Once again, you are buying in bulk and reducing your waste. Rags to Riches – Paper towels can be so convenient. However, we all know that a serious cleaning can quickly shrink your roll. Instead of paper towels, consider using rags. You can either purchase a set of clothes used for cleaning or find old clothes and cut them up to size. This allows you to recycle items that you no longer use while lowering your paper towel consumption. When you are out shopping or at the office, most kitchens and bathrooms provide either paper towels or electric dryers. Even with the no-waste option of air power, there are still many people who prefer the paper option. There is still a way to reduce the amount of paper towels you use to dry your hands. Once you are finished washing, take a moment to shake of your hands. This gets a lot of water off, meaning you can use less paper. Ultimately, the goal should be to use only one sheet of paper towel after washing our hands. Are you shaking long enough? There are many different varieties of non-chemical cleaners, but the ones you find at the store. If you want to go easier on your wallet, consider concocting your own general cleaners. There are various different recipes for general cleaners, hard-water solutions, air fresheners, and stain removers. A quick search in Google can pull up hundreds of different peoples takes on the perfect recipe for Green Cleaning. If your interested in making your own cleaners, Google “Green Cleaning” or check here. Even the most organized people find themselves hoarding old relics. We no longer need our children’s baby clothes. We no longer need the DVD player since now there is Blu-ray. None the less, we keep them. We don’t need them or use them, but they are taking up space and collecting dust. The best thing to do, especially for unused items, is to dispose of them. However, we cringe at the idea of perfectly functioning items getting crushed in a dump. 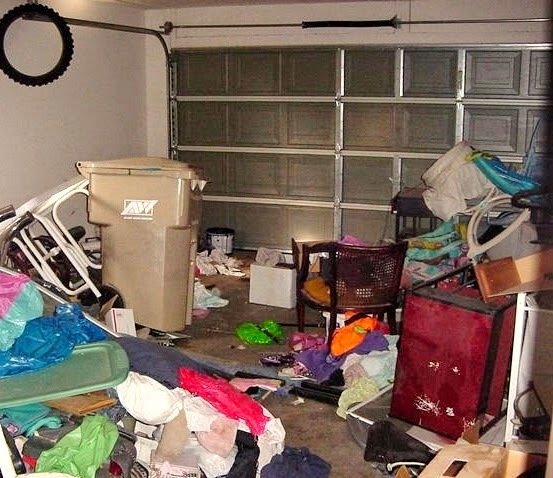 But there is a solution which can help you clean out your house without destroying the things. Donation centers are everywhere and can assist you with many different types of items. The first step with old clothes and toys is to reach out to those around you. You could have family with children that would fit your children’s out-grown clothes. There could be friends at the office or church who are expecting that could benefit from old toys. Being able to donate to those you know can bring some amazing things. Beyond your personal connections other options exist. There are also a number of donation centers for people in need that your clothes could be beneficial. 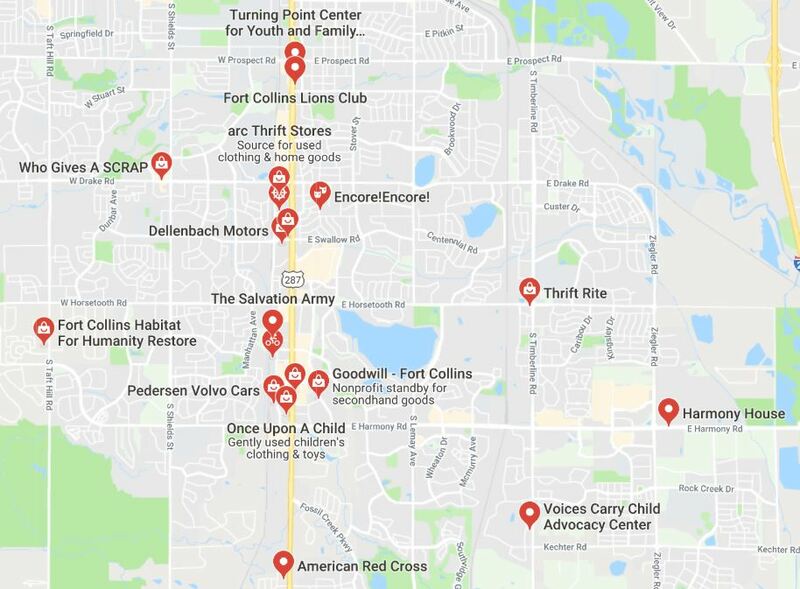 We covered some of these donation centers around the Fort Collins/Front Range area previously. Plastics are something that we don’t put much thought into beside throwing it into the recycle bin. However, plastic bags and film can be reused and recycled in different ways. Most grocery stores and supermarkets have bins you can recycle bags from any store. Also, instead of adding to your collection, you can reuse the plastic bags you have while shopping. Another side to plastic comes with the thicker types found in toys and water bottles. If they are broken, it may be better to dispose of them with the rest of the trash. However, if they are in good condition, donating them to places like ARC and Goodwill is a good way to reduce waste, clean your house, and help others. It is easy to just throw an old, blocky TV into the garage or the dump and forget about it. However, there are proper ways to deal with unused electronic items and waste. If an item like a TV or printer is still in working condition, there are donation centers that will take these items. There are sometimes restrictions, but most places are happy to take them off your hands. There is no need to throw away a working device when someone else could make use of it or its parts once you donate it. If an electronic device is broken, recycling it is a better option. This will allow the device to be disposed of properly and safely while allowing the parts to potentially be used. For more information on local places that recycle electronic, check our Electronic Waste blog. Cleaning and organizing go hand in hand. They are disliked equally. But cleaning’s reputation is much worse. Doing the dishes, cleaning the bathroom, vacuuming the living room, all of these things are dreaded. Most people don’t enjoy cleaning. And that is okay. In the end though, we still need to clean. Organization is an important part of cleaning, and if you’re interested in some tips and tricks, check out our blog. Let’s explore some ideas that will help encourage you with cleaning and keep your house in good shape. One of the first things to help your home stay clean is to do it regularly. Cleaning is hardly fun, but it’s much worse when the work load piles up. If you wait to do your dishes for two weeks, it takes a few days before you can catch up and see your counters again. You may not notice if your carpets are looking dusty and dirty, but that doesn’t mean the grime isn’t there. Laundry is another thing that can be done on a schedule. Especially if you start to run out of socks and underwear, it might be time to set aside one day of the week where you always do your laundry. If there is too much to handle by yourself, call upon your spouse, housemates, or children to help. As long as cleaning is done in smaller chunks consistently, it will be easier to do. Cleaning is monotonous and a bit mindless. We can get bored and distracted easily. In order to help maintain your focus, turn on some music or a TV show. Don’t pick something like a new album you’ve been dying to listen to or a show you are very attached to. This will just further your distraction and keep you longer. Instead, pick something you like and are interested in but aren’t too invested in. Having some sound in the background that you could mindlessly sing along with can help your cleaning go much quicker. Sometimes, we need to be strict with ourselves. With cleaning, now might be the time. Without a set, specific goal in mind, that spare bedroom-turned-storage-closet will never get cleaned. Accountability and rewards could be your best option. Maybe if you desperately need to clean your house and kitchen, offer to host a dinner party. Having people coming to visit is a sure-fire way to get moving and cleaning. Also, if you have an extra room that is just used for storage, this could be an opportunity. Maybe you have always wanted a man cave, an office, a craft room, or a movie and game room. Make this your goal. Cleaning the extra space will open up the opportunity for a new usable space. Now your hard work can be rewarded with your personalized space. We own too much stuff. This is true for most people. But how much of this stuff do we actually use? Do you use it daily, or was the last time you used your kitchen mandoline two years ago? Are there clothes and jewelry that you haven’t looked at for a few years’ worth the space they are taking? Is your fridge and cupboards full of nearly empty supplies? It is time to just get rid it. These things are just taking up valuable space and perpetuating the clutter. It is easier to clean if you just start throwing out the things that have no use anymore. If you think that a massive cleaning includes disposing of your stuff, check out Dumpster Rental’s information and the blogs on donation centers. This can help you clean out your house efficiently. The year is coming to a close with a new one fast approaching. Soon we will be faced with New Years Resolutions and Spring Cleaning. Such tasks are daunting. 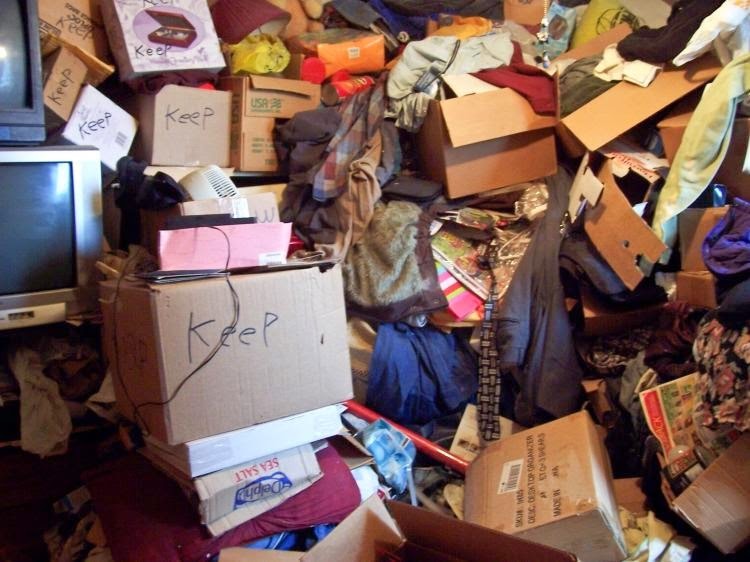 For most of us, we have piled up clutter from years past taking up our offices, spare bedrooms, garages, and attics. The mere thought of trying to organize the piles encourages us to push it back. Maybe till next year. But the longer we all continue to collect, the harder it will be to sort through. We have some organization tips and tricks for you to use for the upcoming projects. The first, and probably most important step is to contemplate what you really need. Do you have multi-color Christmas lights that you haven’t used since 2012? You may be planning on getting that one light fixed, but it could also be time to toss it. What about the bins full of baby clothes? We may hope to pass them on in the family to cousins or maybe your own grand kids. If there is a particularly special outfit, keep that but get rid of the rest. Everyday items: If you haven’t used it in the last six months, do you really need this? Seasonal items: If you haven’t used it in the last 1-2 years, do you really need this? Sometimes it is hard to consider what things can be tossed in bulk that will immediately open some space. There are a few things that you can easily organize and sort through. Plastics: Whether it be bags or containers, plastic can take up a lot of space. It can be good to have some variety in the kitchen cabinet,but how much storage do we need? Unless you make a lot of large meals or parties, there is no need for entire shelves of containers. Clothes: Beyond just baby and kids clothes that are no longer used, there are plenty of adult clothes that can be disposed of or donated. Fashions change even though we are no longer growing. Check what you usually wear and what you longer consider. You might be surprised at how many bags for Goodwill you can fill. Toys: While it is good to have a couple games and blocks around for the occasional visit of children, there is no need to keep all of the toys. Kids toys take up a lot more room than you think. If your kids have outgrown Barbie or Hot-wheels, consider donating them or giving them to a friend. Some may have sentimental value to your kids. If that is the case, make it their responsibility to deal with and take care of. Some things would seem a little more important to organize than others. For Frequent use: if some things, like cleaning supplies,towels, or tools, are taking up cabinet or floor space, consider creatively handing them from the wall. As long as they aren’t overloaded or cluttered, walls can be the perfect new storage space. For the Office: We are now in the electronic age, but we still get so much mail and use a lot of paper. Do we really need it? If you are someone who piles up to mail months at a time, it may be better to go purely paperless with your bank statements and bills. For the Kitchen: The kitchen is another place where things can hang. Instead of a knife block, there are magnetic strips made to hang your knives inside cabinets or on walls. Pots and pans also have some stylish hanging options. But even more basic than this, take a look at your counter tops and take in what you have. Appliances and items that are used daily or frequently throughout the week are allowed to live on the counter top. Anything else should be stored until you use it. Consider exploring around the internet to find more organizational ideas that will best suit your needs. In 1873, a farmer decided to build their house halfway between Fort Collins and Greeley. In the next few decades, people and families began to settle there for the agriculture wealth of the area. This was the quiet little town of Windsor. Various industries began to call the town home. But it wasn’t until Kodak, the technology and camera company, moved in the town truly began to blossom. This was around fifty years ago. Everything has changed since then. In 2015, the town celebrated it’s 125th anniversary. The population of the town is nearly 25,000 and that number is expected to continue growing. The town is growing. Planning has been made to make this as easy as possible. It is placed in an inviting area that calls for new families and business. The schools in the area are considered some of the best. New things are constantly being added to the Old Town area and new residencies are being added. Windsor is spreading out in all directions. In time, more and more families, business, and people looking for a new life will join the community. There are plans for various new improvements and additions to the town, such as the Community Recreation Center. Could Windsor be your next stop? Due to the growth of the town, there are many new areas in Windsor. However, the older parts of town may be due for an update. Dumpster Rental is a local roll-off dumpster rental service based in Fort Collins. You could be in many situations. You could have just moved to town and want to update your fixer-upper. Maybe you are starting a new business and want to make the building your own. Or your dear home that you have grown your family in is in need of freshening up. Whatever your situation is, Dumpster Rental is excited to assist with your waste disposal needs. Contact Dumpster Rental if you have any questions are want to get started on your project.